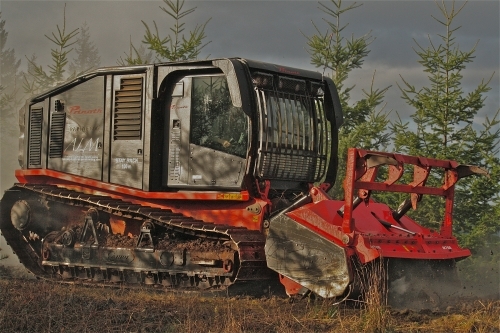 We are an Oregon based heavy equipment contracting company specializing in agricultural land clearing solutions. Utilizing unique equipment and processes, we eliminate the need for commonly practiced land clearing methods that require heavy traffic, grubbing, piling, hauling, and burning of material. Our processes mulch and rotivate vegetation, stumps, and roots right back into the soil at depths up to twelve inches. 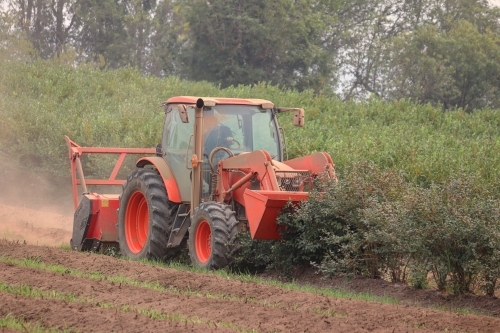 These processes work exceptionally well for the removal of orchards, nursery stock, blueberries, and overgrown Christmas tree plots – as well as common brush and invasives found throughout the Pacific Northwest.